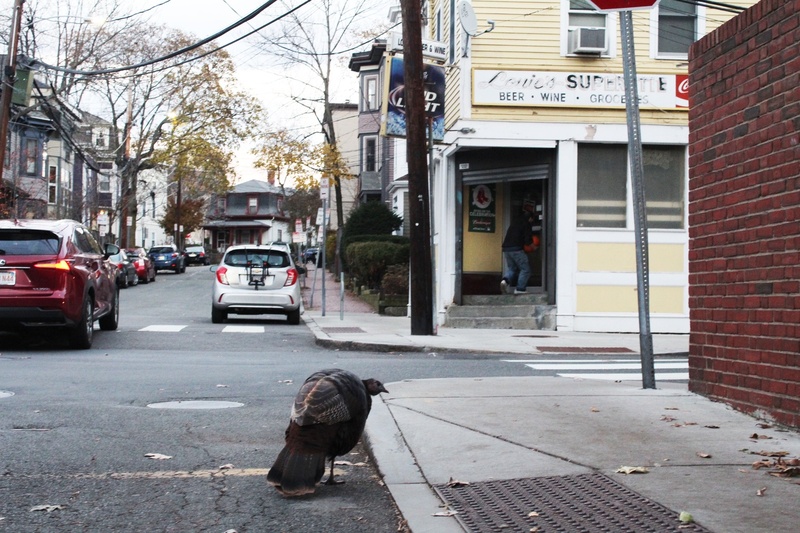 Avoid high school 'friends' this Thanksgiving about as well as the Harvard Turkey avoids traffic. Thanksgiving break, a time to run away from the stress of looming exams (and pretend any Harvard-Yale mistakes don’t even exist). A time to retreat back into simpler comforts, like a proper shower, your own bed, and, most importantly, home cooked foods. But wait...what about all those mild acquaintances from high school who you “promised” to catch up with over break that now fill you with dread? Looking to avoid the painfully awkward and horribly predictable Harvard lawsuit and final club sanction small talk? Here’s our step by step guide to avoiding those obligatory friend meet-ups. Turn off your find my friends, snap maps, and cleanse yourself from any other virtually trackable behavior. Now just hope you don’t run into anyone while out at your favorite restaurants, or better yet just stay hidden away in your room and Postmates (or have your mom bring you) your meals. That’s what vacations are for anyways, right? Your parents have planned to spend the break shooting your winter holiday card while everyone’s together. Hair, makeup, wardrobe, and multiple location changes make this production fill up the whole entire day with family time. What a bummer! Dentists, doctors, therapists, dermatologists, gynecologists — you name it! The more persistent someone is about meeting up, the more graphic detail you should give about that pressing health concern of yours that just absolutely needs to be taken care of. Whatever you do, be sure to give off an appearance of regret that the plans won’t work out. Send a sad face emoji, but not too many. You’d hate for them to press for an alternate time. And let’s be honest, odds are whoever you are trying to avoid doesn’t really want to meet up with you either. So we’ll just all keep signing off texts with loose commitments to “catch up” over winter break only to do this all over again come December.